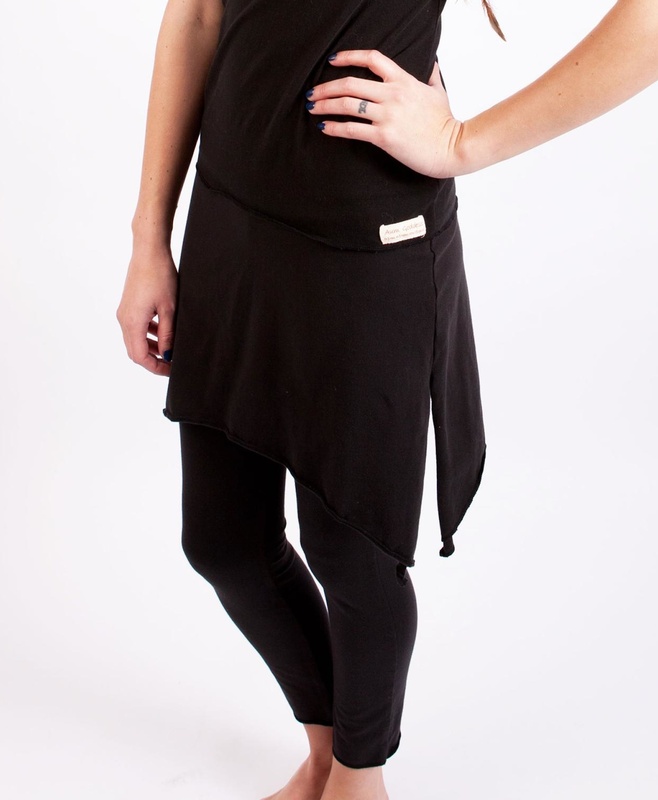 The Yoga Ankle Tights with Goddess Skirt is one of the original Aum Goddess classics. With the skirt attached to the pants makes for an easy all ready layered piece. A fave rave amongst our Aum loyal fans. So comfortable and looks so chic in this style that you never want to take them off. Dress this style up for day wear or great for lounging around the home. Features: The Yoga Flares are the basic pant and the the Goddess Skirt is the basic skirt and we sew them together... Aum Magic ! The waist band is a flat 2 .5 inch band which lies flat and secure at the hip area. Shown here: in the black colour and this style looks absolutely fabulous in all the other Aum colours.